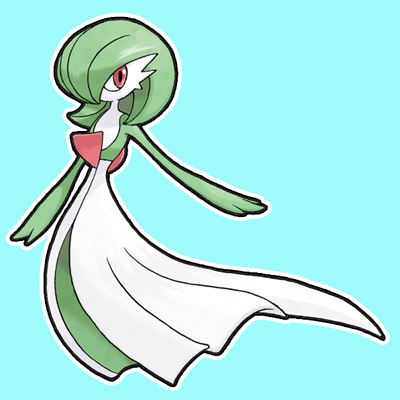 Gardevoir is a dual-type Psychic/Fairy Pokémon which evolves from Kirlia. 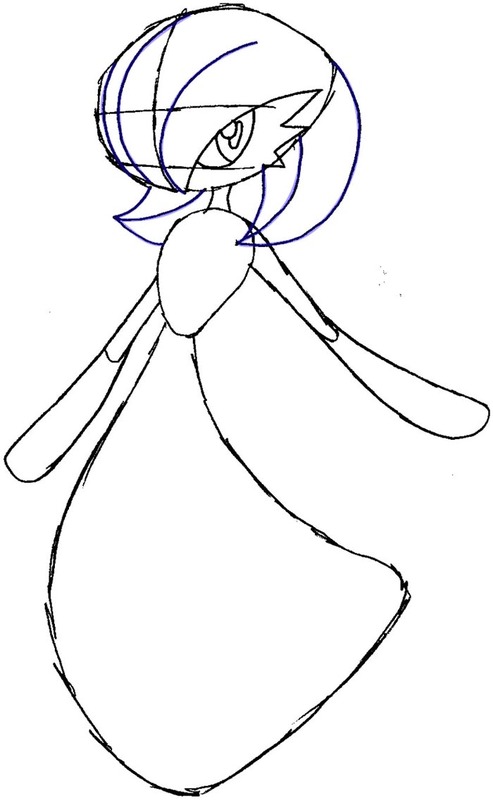 It can evolve into Kirlia. 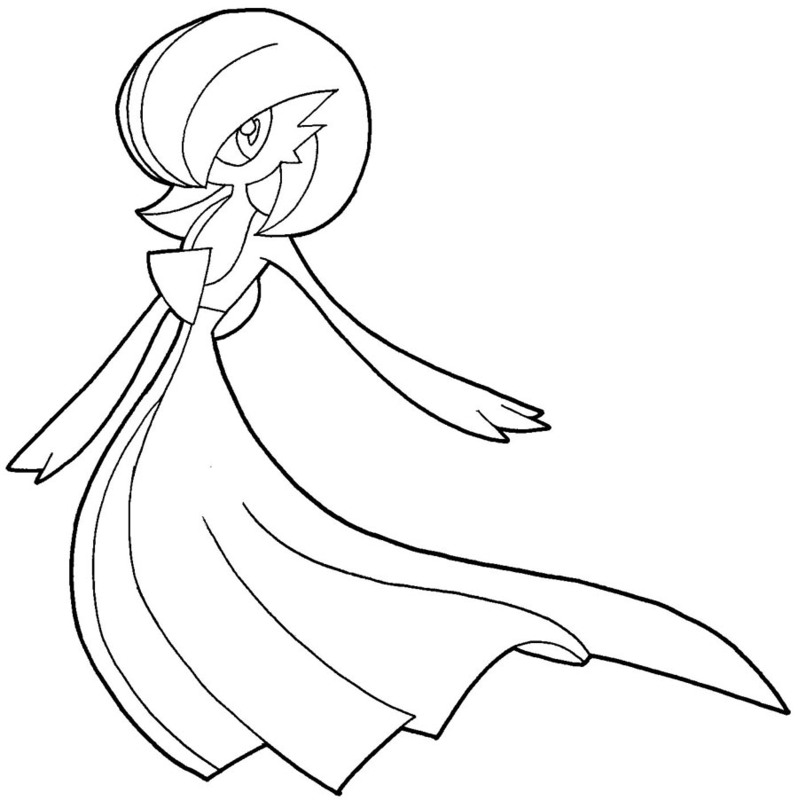 Today I will show you how to draw a Gardevoir with simple to follow illustrated steps. Draw guidelines in the face. 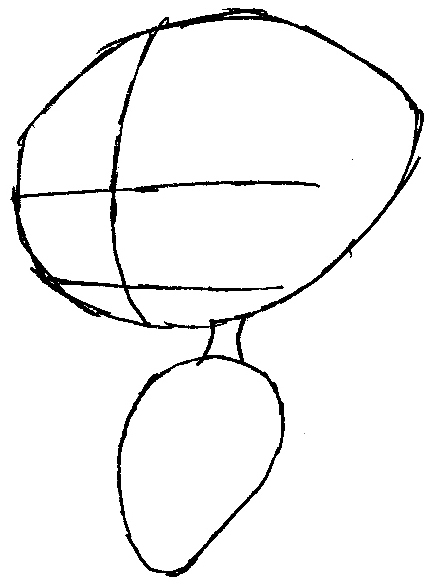 Draw another oval-ish shape and connect the head to this shape with 2 lines for a neck. Draw the eye by drawing a bunch of ovals. 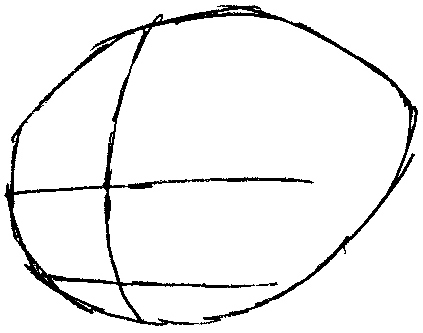 Draw letter ‘M’ shaped zig-zags to the right of the eye. Draw letter ‘W’ shaped hair shapes. 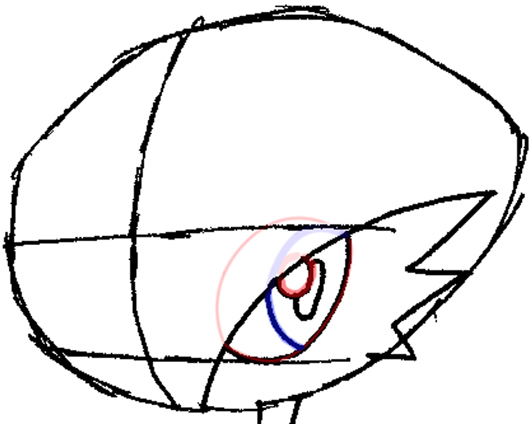 Draw some curved lines in the head for hair lines. Draw letter ‘W’ shaped claws and a triangle-like shape as well as a few other strokes. 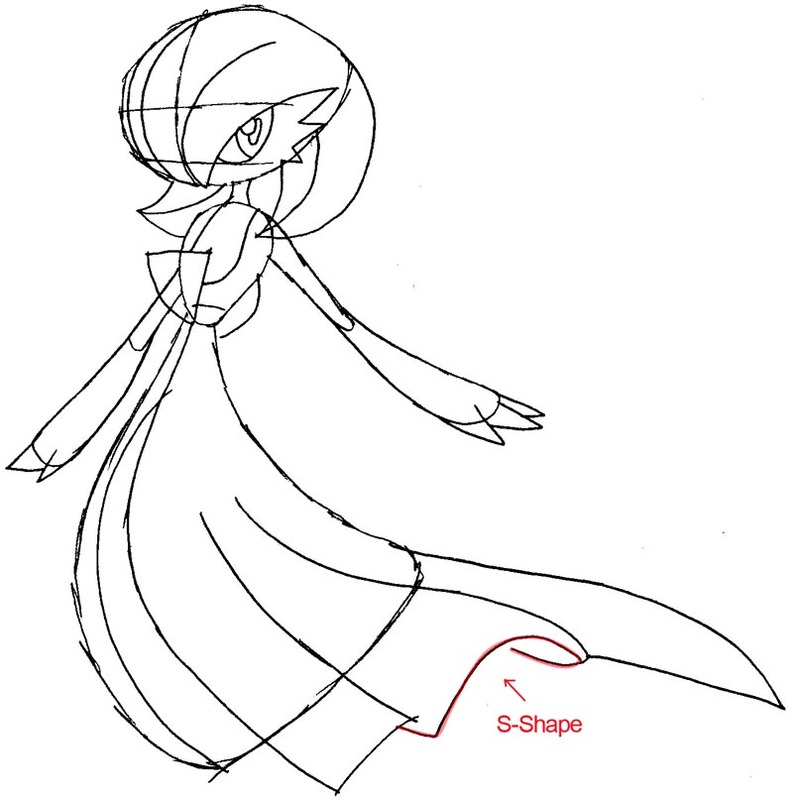 Draw curved lines for the drapery of her dress…one of the shapes at the bottom of the dress is a sideways letter ‘S’-like shape. 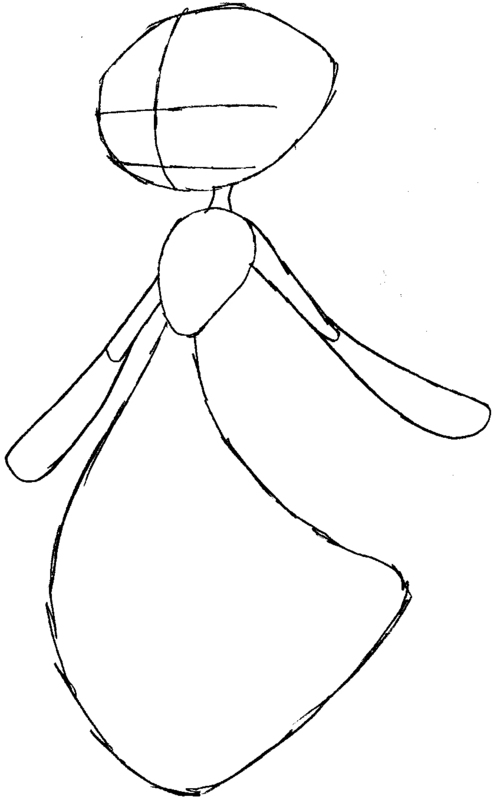 Now erase any guidelines that you don’t need any more…and thicken the lines of the drawing to make it look sharper. 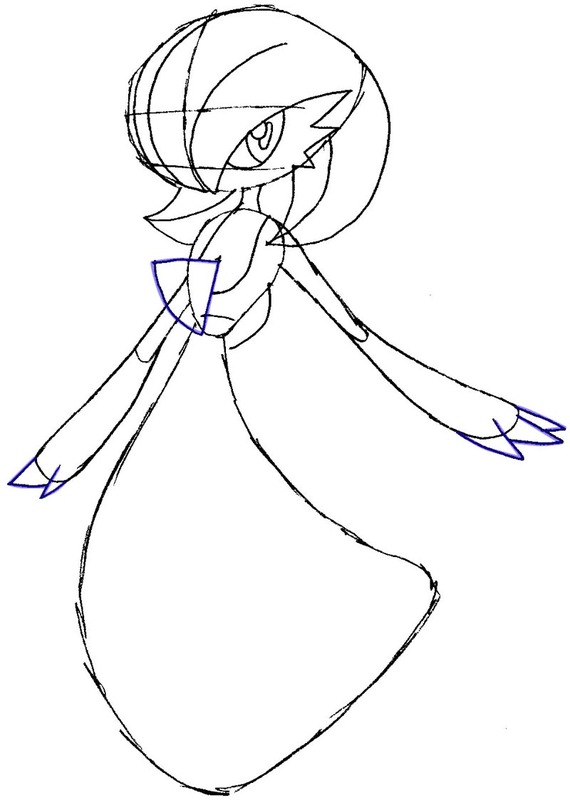 You now should have a beautiful drawing of Gardevoir. This is great, very easy to follow too! Many thanks. My goodness, you make it seem easy and straight forwards when I’m probably going to mess up the first step. Thank you. This is nice I like it it’s easy and helpful and know I know how to draw my favorite pokémon! !